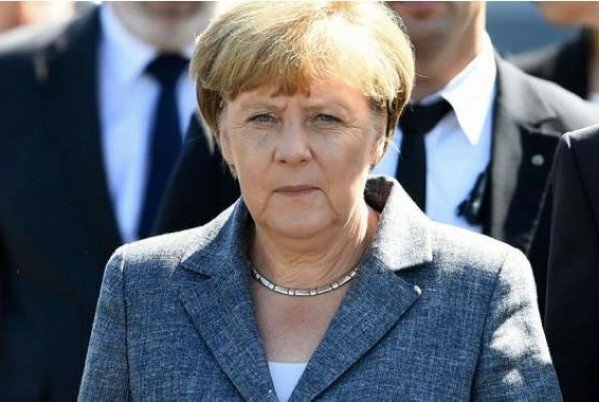 German Chancellor Angela Merkel has announced that she will run for a fourth term in office. Speaking at a meeting of her Christian Democratic Union (CDU) in Berlin, Angela Merkel said she expected her toughest campaign to date, and vowed to “fight for our values and our way of life”. General elections are expected in Germany in 2017. Angela Merkel’s poll ratings have slipped since the height of her popularity but she retains wide support. The center-right chancellor, who has been in office since 2005, is being challenged by the populist right-wing AfD party. Angela Merkel announced she would stand again after meeting party leaders at CDU headquarters. She told reporters that the decision to run for a fourth term had been “anything but trivial after 11 years in office”. Angela Merkel added that she expected challenges from both the right and the left of the political spectrum. In September, she accepted responsibility for election defeats for the CDU in several states and conceded that her open-door policy towards migrants was a factor. Germany expected up to 300,000 refugees to arrive in the country in 2016, the head of the country’s federal office for migration and refugees said earlier this year. In 2015, Germany received more than a million applications for asylum. A pastor’s daughter who grew up in communist East Germany, Angela Merkel has run the united country since 2005. If she wins next year’s elections, Angela Merkel would equal the post-war record set by Helmut Kohl, who was chancellor from 1982 to 1998. Germany does not have term limits on the country’s top job.